I have been thinking a lot about how I spend my time. For as long as I can remember, I’ve had a problem with procrastination and, let’s face it, laziness. I think quite a few people struggle with it. 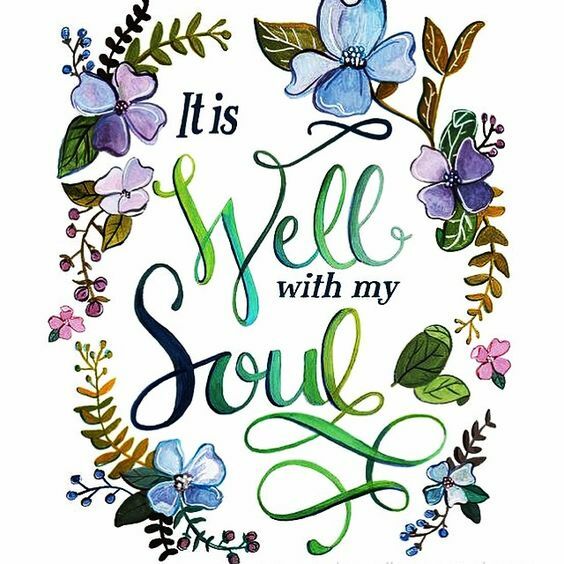 But when I begin to think of all the ways that the Lord has blessed me, despite what I think of as misfortune in my life, I am so very thankful! I can’t even begin to imagine what path my life would have taken if I hadn’t come to know the Lord as my own personal Saviour. He has paid the ultimate price and through His Blood, I have been redeemed! How gracious a God I now serve! And after realizing that, shall I keep squandering my time? Putting things off and shirking responsibility? Heaven forbid! As a Christian, I must find ways to be useful in His service. I must depend entirely on Him, for He is truly my Lord and Saviour, and how can I call Him that if my actions and ordinary pursuits don’t reflect it? So many think they have to do great deeds in His Name, and while He may certainly call some to do that, it starts with the small, ordinary things. How you behave, what you pursue, how you follow through with your everyday actions – those are the things that really show a changed life, a changed spirit. 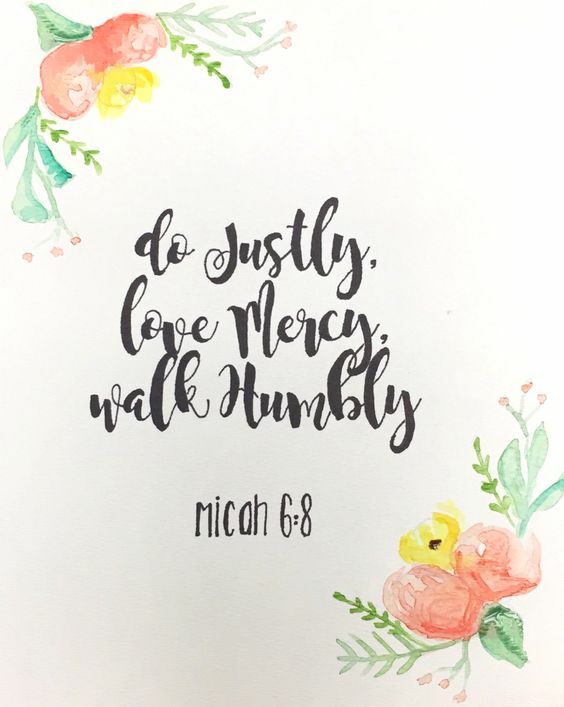 To walk humbly with your God (Micah 6:8) doesn’t require giant deeds that will be widely recognized by men. Do the small things, the ordinary everyday things that most people frown upon, with grace and joy. Do them for the Lord. Uplift your every action, your every word, and your every thought to the Lord. John 3:30 says, “He must increase, but I must decrease.” Make that true in your life. Let all you are glorify Him. You are the clay and He is the potter, so then let Him mold you into what He wants you to be. And be thankful! Always and in everything, be thankful! He has brought you this far, and He will carry you through the rest of the journey, if you will trust in Him in all you do. He is an amazing God! And His grace is never-ending! Have you ever had to wait on something or someone? Has it ever seemed like the wait will never end? Elisabeth Elliot has some pretty great things to say about waiting..
Before you do anything about what may be weighing on your heart, go to the Lord! He cares for you in the best way and He wants to hear from you. So many people, myself included, tend to get impatient with the wait. However, restlessness is not a good thing, and patience and prudence are qualities of a wise person; so we should strive to wait with all the patience and prudence we can muster. It may well be that God is making you wait so that you can learn how to wait patiently. Don’t ever doubt the Lord’s purpose in your life! He knows what He’s doing, if only you will trust in Him. Don’t try to rush ahead of His plan for you. He will give you the necessities when you need them and no sooner. So if God is telling you to wait, then wait and see what great things He has planned for you. Learn to be submissive to His design. And be of good courage. Remember that He will never leave you. He may be quiet at times, but He will always be right there with you regardless of what you are facing. And of course, at the end of the wait, He will hear you and heal any hurt. I have started switching from a No. 2 pencil to a mechanical pencil for some of my drawings and adding some marker color as well as black pencil and highlighters. I really do like branching out with these new mediums, they really are a ton of fun for me! Here’s a side profile of a baby fox! I found one that had a shorter snout than the average adult fox, and I thought it was cuter. The ability to reason comes through wisdom and understanding. It begins in the mind, not in the heart. Your feelings should never dictate your actions. Have you noticed that people often respond to questions with “I feel” instead of “I think”? Why has society, for the most part, seemingly abandoned all sense of logic? So many people base things off of “the heart.” However, the heart is simply an organ in the body that pumps blood. It cannot determine your path in life. “Following the heart”, therefore, is an illogical statement. Have you noticed that our culture has become a “touchy-feely” society? We no longer ponder the why of something, rather we focus on how that something makes us feel. The problem is that feelings, or emotions, are incredibly unstable things. Have you ever felt emotional? Too emotional perhaps to get through whatever may be happening in your life? Emotions are willful, youthful and sometimes violent, and one of the most powerful forces in controlling a person’s emotions is prayer-time. Time spent on your knees in the Lord’s presence is time spent well. So when you feel overwhelmed, overcome with passion or emotion, ask yourself how you’ve spent your time. Wisdom, instruction, justice, judgment, equity, knowledge, and discretion.. are these not all things that occur through the mind? The Bible says that wisdom is important. Emotions are not wise things. They are ever-changing. They come and they go. Why would you base actions on something as fleeting and unstable as a feeling? It’s not logical. Think through your actions! Realize that everything has a consequence and really take the time to invest in knowledge and wisdom. These are things that will stay with you. These are things that will help you. Gratefulness and thankfulness go hand in hand. Truly being thankful for the last year, with its blessings and setbacks, seems to be missing for so many people I know. The last year may have had its trials – moments when things just seemed to be going wrong. But the Lord sends trials and difficulties to us to make us grow. For me at least, the last year wasn’t all bad. It had its discouragements, to be sure, but it also had its joys, and I am thankful for the time that God allowed me last year – whether it seemed pleasant at the time or not. Throughout everyday life, we have a choice.. either squander the time given us and then complain about how badly things went, or else use it to the best of our ability to grow. The latter choice reflects a level of maturity that seems to be sorely lacking in society today. People go about everyday life thinking that whatever befalls them is “just life”; that they have no choice in the matter and that whatever the calamity was would have happened anyway. This attitude is carried through into the choices that they make. Assuming that bad things will happen anyway, leaving things to chance, and not really wanting to do the things they must do, spoils their fun and steals their joy. However, you choose how to do your “have-to’s”. You can march through life with heavy steps and a frustrated heart, or you can perform all of the necessities in life with patience, love, and joy. Do you have work to do? Chores that you have put off for far too long? Tiresome activities that bore you? Duties that you dread? Are you just going through the motions with your day-to-day obligations? That is no way to live! Do what you have to do with all your might. Do it to the best of your ability. Do it with energy and determination. Do it with patience, love, and joy. Do it to the glory of God.